Why Women & Gender Studies? ​The Scholarship is awarded to an undergraduate woman student at UD. ​The Capstone in WGS for graduating majors promotes collaborative scholarship. Photojournalist Silvina Frydlewsky, whose work showcases life in her native Argentina with a focus on the Jewish community, was UD's most recent visiting international artist. The journalist and anti-lynching crusader Ida B. Wells, once widely known for her activism, is gaining renewed attention in the national media and in communities like Chicago. In a new book, "Corporate Islam: Sharia and the Modern Workplace," anthropologist Patricia Sloane-White examines the Muslim culture of businesses in Malaysia. The Latin American and Iberian Studies Program's 2015-16 film and lecture series, which opens Sept. 9, will focus on race and ethnicity in the Americas. "Gender, Justice, and Affective Labor in Honduras"
Dr. Keri Rondo will address gender, justice, and affective labor under conservation and development on Honduras' North Coast and Islands, tracing the development of an anthropological praxis as a feminist politial ecologist focused on social and environmental justice. Sponsored by the Department of Anthropology. Take Back the Night, sponsored by SAGE (Students Acting for Gender Equity), begins with a presentation by speaker Sam Leonard in Memorial Hall, Room 108, followed by a march across campus, and finishing with a survivor speak-out in Trabant Multipurpose Room C.
"The Pipeline Fallacy: My Work as a Woman around STEM"
Dr. Joy Lisi Rankin, author of A People’s History of Computing in the United States, presents this lecture. Dr. Rankin is a feminist, anti-racist historian, and a Contributing Editor for Lady Science. She is also a consultant for the documentaries The Birth of BASIC and The Queen of Code and for the television show Girls Code. 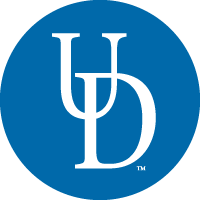 Cosponsored By The UD Advance Institute, and the Departments of History, Women & Gender Studies, Computer & Information Sciences, and Electrical & Computer Engineering. AmericanTowns Media in Westport, CT.
Shawnee Sloop is currently working as an Editorial and Research Intern for the tech company AmericanTowns Media in Westport, CT. When Shawnee is not working, she can be found hiking local spots or visiting friends in Boston or Philadelphia. She will be traveling to Italy in May to visit family and will travel to Florence, Venice, and Spain. ​Sage Carson is Project Manager of Know Your IX, a project of Advocates for Youth. Know Your IX is a national survivor- and youth-led organization empowering young people to end gender violence in their schools. Sanika Salim is Executive Assistant to the Chief of Staff in Senator (DE) Tom Carper’s office as well as Intern Coordinator for the Washington D.C. office, where she reviews incoming applications, trains Legislative interns, and participates in hiring new interns for spring, summer, and fall internship programs, a role Sanika says “is very close to my heart, because I began my journey on Capitol Hill as an intern.” Her future plans are to earn a Master’s in Public Administration degree and ultimately to work for the State Department, the United Nations or international NGOs concerning women’s rights and international development. Gabrielle Lanzetta received the Mariam K. Chamberlain Fellowship in Women and Public Policy. Through this fellowship, she worked for the Feminist Majority Foundation in Arlington, VA, as Assistant to FMA co-founder Eleanor Smeal, publisher of Ms. magazine, which featured Gabby in an article published in the Spring 2017 issue. ​Pallavi Mathur has begun her first year at Northwestern Pritzker School of Law, where she hopes to combine her electrical engineering degree with legal studies and eventually pursue a career in patent law. In this field, she especially hopes to help and advocate for women innovators and entrepreneurs, who often face significant challenges in the male-dominated tech industry.